Who knew that the Red, White, and Blue of the American Flag could be worn the way this masked superstar did. Who was he? He was the embodiment of AMERICA! 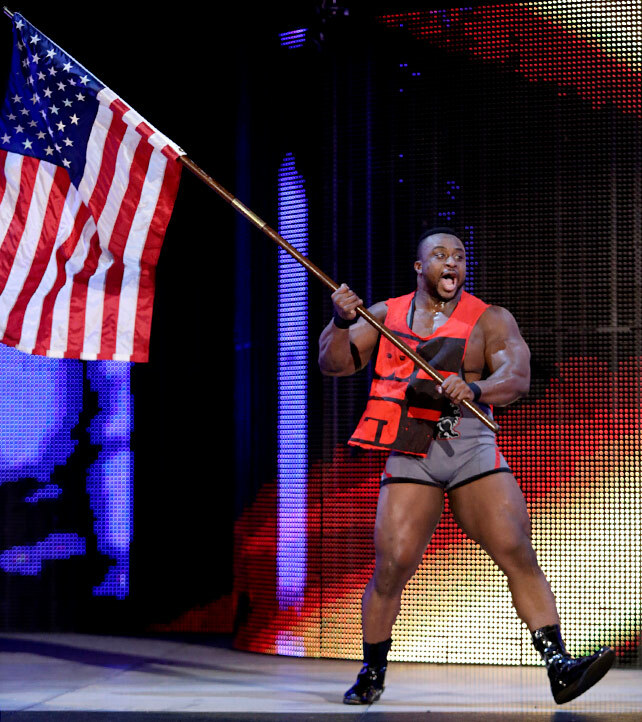 During his recent stint with Rusev, the Bulgarian Brute, we realized just how patriotic Big E really is. He also sounds very much like a preacher, or Martin Luther King... Not really sure which. Nonetheless, Big E has held the American flag proudly over the last couple of months and deserves to be on the list! While Mr. America may have been the living embodiment of America, The Patriot was before him. Dawning the colors of the American flag, and even sporting an Eagle proudly on his mask! All Aboard the Lex Express! After his Narcissistic persona wore off (and of course Hogan leaving the company) Lex showed his true colors... RED WHITE AND BLUE!!! Thats right! Luger was the All American before Swagger was out of diapers! Is there anyone more American than our Olympic Hero, Kurt Angle? I think not. This guy won the Olympic Gold Medal in 1996 with a BROKEN FREAKIN' NECK! Just so he could make his home proud... 'Merica! Can you even HAVE a list without including the 2x4 carrying, American flag waving, stud of a wrestler named Hacksaw? I mean come on, when you think of ho's and USA... you think of Hacksaw! 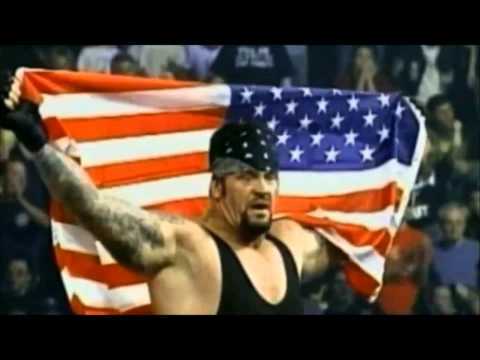 Now taker isn't normally known as a patriotic gimmick, but when he made his return from injuries at Judgment Day 2000, he became the most American badass of the attitude era! Not many men are more patriotic than Sgt. Slaughter (and never mind the fact that he defected and aligned himself with Iraq for awhile... those were dark times). Slaughter is known as the real life G.I. Joe, so much so they even put him in the cartoons! If Lady Liberty and Uncle Sam had a love-child, it would be Sgt. Slaughter. ATTEN-HUT! You could say Hulkamania is running wild... I'd like to say Americamania is running even wilder! Who else but the Hulkster himself could rock a solo on a guitar with the American Flag printed on it. He's a real American, and fights for the rights of every man. Not to be confused with Mr. America (It's still real to me dammit!) Hulk Hogan is the most patriotic superstar ever!